We all face negative situations in our life. Someone may say something bad about you, or something you’ve worked hard on is rejected. In situations like this it is difficult to keep a positive attitude. 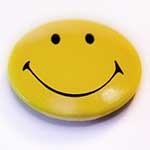 However we’re judged by our communications so staying positive is the professional way to react to adverse situations. Your natural inclination is to release your inner Hulk and bash. This negative reaction will make the circumstances worse and you will end up filled with disappointment and anger. You can beat negative situations by keeping a positive attitude. The attitude you take when faced with a negative situation is a choice. In the business world keeping a positive attitude in negative circumstances is a valuable skill to learn. It will keep your professional reputation intact and show you can handle any negative situation. The best way to overcome a negative situation is by keeping a positive attitude. It is not easy and requires discipline on your part, but you can do it. At first you may not succeed every time so consider it a training program. Eventually you will learn to control your reactions out of habit. The golden rule of staying positive in a negative situation is to control your response. Take a deep breath, count to 10, do whatever it takes to remove yourself from the negativity. Wait until you calm down and have thought clearly about your response. If you respond out of emotion you will only make it worse. Remember Thumper’s rule. “If you can’t say anything nice, then don’t say anything at all.” This is good advice when you find yourself in a negative situation. Negative situations compound when they cause you stress. Learn how to deal with stress to remove the extra negativity. Look at a negative situation or event as an opportunity to learn and grow personally. Albert Einstein said “In the middle of difficulty lies opportunity.” Don’t channel your energy into a negative reaction, but into something positive that will make the situation better, not worse. If you do react negatively take note of it and the circumstances that caused it. Learn from it by identifying the triggers that caused your reaction so you can watch for them in the future. Train yourself so you control the situation instead of allowing the situation to control your actions. We are human so we all make mistakes from time to time. When you do you need to step up and admit it. One thing I told my boss a long time ago was that if I ever made a mistake he would hear it from me first. If you make a mistake that leads to a negative situation, admit to it, learn from it and move on. Don’t allow your opinion of someone to become jaded by a negative situation. Keep a positive view about a person or a situation and don’t jump to conclusions. Be proactive in dealing with adverse circumstances, not reactive. If the negativity is true see rule # 3. If not then affirm what you already know about yourself and your work. When you are working under pressure it is hard to keep a positive attitude, but for a manager often pressure is part of the job. Learning how to work under pressure will help you overcome a source of negative situations. Rule # 5 – Accentuate The Positive. Remember that scene in The Jungle Book where Baloo breaks into a song about staying positive? Words of wisdom from a dancing bear. Emphasize your positive attitude by your actions and in your words. Eliminate any negative thoughts generated from a negative situation. Nothing good is gained from a negative reaction. Affirm the positive truths you know to be true about yourself and your work. Don’t flip-flop between positive and negative. When negativity comes to you remove yourself from the situation, flip to the positive side and stay there. In the middle of writing this piece I had to put this into practice when the power went out for 2 1/2 hours during a thunderstorm. Rather than get mad because I had lost my writing time, I grabbed a notebook and started writing my to-do list for work tomorrow. A negative reaction to something beyond my control would have wasted time and energy. Life will continually present you with negative situations. You choose how you react to them. Rather than waste energy and your reputation by reacting negatively, learn to turn a negative situation into a positive. Don’t let the actions of others or circumstances turn you to the dark side of the workforce. Keeping a positive attitude in a negative situation is hard, but if you work at it you will learn to overcome your emotional reactions. Doing so will enhance your professional appearance and show that even under negative circumstances you can maintain control and deal with any issue in a positive way. As a manager you need to teach these rules to your reports. If you have negativity coming from team members, learn how to deal with team member personalities. Great post, which was forwarded to me by a friend. Learning from negative situations is useful, because the next negative situation you face makes you think back and know you’ll come out of the current situation all the stronger.